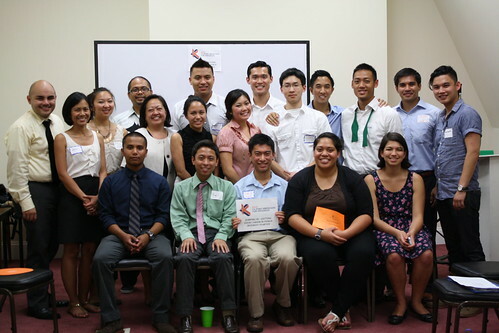 This August, KAYA-DC members and interns exchanged knowledge about career goals and pathways. Both sessions included the Kuya/Ate Mentoring program “Speed Mentoring,” to meet KAYA-DC members, ask questions of them and build relationships. Big thanks to Romeo N. Ymalay for organizing these sessions, and to National CAPACD’s 5th Floor Classroom at 1628 16th St. NW for hosting the events! To get involved and to learn more about the KSIP, email kayadc@kayagrassroots.org. I precisely wanted to thank you so much once more. I am not sure what I would have followed without the thoughts discussed by you concerning this problem. This was a very alarming situation in my position, however , discovering this well-written approach you dealt with it made me to weep with contentment. I’m just happier for this assistance and then wish you realize what a great job you’re doing educating many others with the aid of your site. I am certain you have never met any of us. Hi, i think that i saw you visited my web site so i came to eturn the favor?I’m trying to find things to improve my web site!I suppose its ok to use some of your ideas!! This will be the suitable blog for any person who desires to discover about this topic. You comprehend so much its nearly difficult to argue with you (not that I actually would want?-HaHa). You unquestionably put a new spin on a topic thats been written about for years. Amazing stuff, just awesome! Whats up very nice website!! Man .. Beautiful .. Superb .. I will bookmark your web site and take the feeds also…I am glad to search out numerous helpful information right here within the post, we’d like work out extra strategies on this regard, thanks for sharing. I similar to this web blog very a lot hence much magnificent information. I can never consider just how much on this I probably did not realize. Many thanks for offering this resources. More than likely to come back on this site to find when there is any new content. You have pragmatic very exciting points ! ps straight website . “Become addicted to recurrent and never-ending personality improvement.” by Anthony D’Angelo. I do agree with all the concepts you’ve offered to your post. They are very convincing and will certainly work. Nonetheless, the posts are too short for novices. Could you please extend them a little from subsequent time? Thank you for the post. Hi there, I discovered your website via Google while looking for a similar matter, your website got here up, it appears good. I’ve bookmarked it in my google bookmarks. Hiya. Vastly cool tangle site!! Guy .. Excellent .. Amazing .. I will bookmark your blog and obtain the feeds additionally…I’m glad to find accordingly a lot of use communication here within the post. Merit for sharing. What i do not understood is if truth be told how you are not actually much more well-preferred than you may be now. You are so intelligent. You recognize thus considerably in the case of this topic, made me in my view believe it from a lot of numerous angles. Its like women and men are not interested except it¡¦s something to do with Girl gaga! Your individual stuffs great. At all times take care of it up! Aw, this was a seriously nice post. In concept I would like to put in writing like this furthermore – taking time and actual effort to make a especially superior article?- but what can I say?- I procrastinate alot and by no indicates seem to get something completed. I’m impressed, I ought to say. Seriously rarely do I encounter a blog that is both educative and entertaining, and let me tell you, you might have hit the nail on the head. Your thought is outstanding; the issue is something that not sufficient people are speaking intelligently about. I am rather happy that I stumbled across this in my search for something relating to this. You can definitely see your enthusiasm within the paintings you write. The world hopes for more passionate writers such as you who aren’t afraid to say how they believe. Always go after your heart. I have noticed that smart real estate agents just about everywhere are starting to warm up to FSBO Promoting. They are realizing that it’s more than simply placing a poster in the front area. It’s really concerning building connections with these suppliers who at some point will become customers. So, when you give your time and efforts to encouraging these suppliers go it alone : the “Law involving Reciprocity” kicks in. Great blog post. Nice post. I discover some thing even more challenging on distinctive blogs everyday. It is going to often be stimulating to read content from other writers and practice somewhat some thing from their store. I’d prefer to use some using the content on my weblog whether or not you don’t mind. Natually I’ll give you a link on your web weblog. Thanks for sharing. I must express appreciation to you for rescuing me from such a predicament. Because of looking out through the the net and coming across tricks which are not helpful, I believed my life was well over. Being alive minus the strategies to the issues you have solved all through your blog post is a crucial case, and ones that would have badly affected my career if I hadn’t noticed your website. Your good skills and kindness in touching all areas was invaluable. I am not sure what I would have done if I hadn’t come across such a stuff like this. I can also at this moment look ahead to my future. Thanks for your time very much for your high quality and result oriented guide. I won’t think twice to refer the blog to anybody who requires assistance about this area. I’d have to check with you here. Which is not some thing I frequently do! I get pleasure from reading a post that may make persons believe. Also, thanks for allowing me to comment! I enjoy the perception of your blog. Not long ago I built mine and that I wanted several design ideas and you just gave me a few. Let Me ask you whether or not you built the site by youself? Web-site simplicity Important factor of web design? Hi! Quick question that’s entirely off topic. Do you know how to make your site mobile friendly? My site looks weird when browsing from my iphone4. I’m trying to find a theme or plugin that might be able to correct this issue. If you have any suggestions, please share. Many thanks! Magnificent web site. Plenty of useful information here. I’m sending it to several friends ans additionally sharing in delicious. And naturally, thank you in your effort! Excellent post. I was checking continuously this blog and I’m impressed! Very helpful information specifically the last part 🙂 I care for such info much. I was looking for this certain information for a very long time. Thank you and good luck. You could certainly see your skills in the work you write. The sector hopes for even more passionate writers such as you who aren’t afraid to say how they believe. Always follow your heart. “History is the version of past events that people have decided to agree upon.” by Napoleon. I’m typically to running a blog and i really admire your content. The article has actually peaks my interest. I am going to bookmark your website and maintain checking for new information. May I simply say what a relief to discover someone who actually understands what they’re talking about on the net. You certainly understand how to bring an issue to light and make it important. A lot more people have to read this and understand this side of your story. I was surprised you aren’t more popular given that you definitely have the gift. Hi my loved one! I want to say that this article is awesome, great written and come with approximately all important infos. I’d like to peer more posts like this.